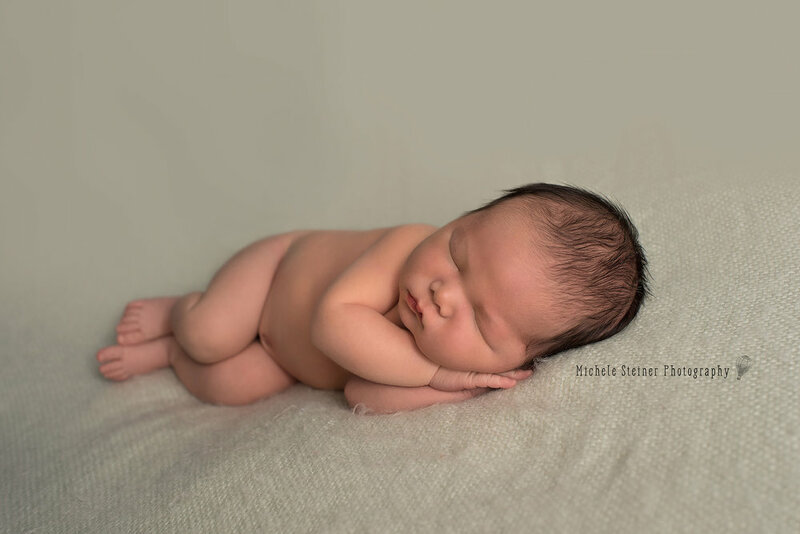 This sweet boy came into the studio for a posed session and his parents also booked a lifestyle session to capture their whole family together. I love adding personal touches into your sessions. I often ask parents if there is a meaningful item they want incorporated into the session. This family brought a stuffed bunny that I placed with him in the nest image. He slept so well throughout his whole session. Look how sweet his is in the little romper on the green blanket, curled up and peaceful.